My Bike Blog | This is my bike life with eProdigy Bikes. This is my bike life with eProdigy Bikes. It’s not easy being a working mom. I miss a lot of special moments with my kids as they grow up, and they grow up in a blink of an eye! I am also breastfeeding my infant so organizing milk supply can be stressful at times. I worry that my milk supply will diminish as I go back to work, so I am pumping as much as I can at home and on my lunch break at work. Even for that measly half or 1 once, I’m pumping it out! Sometimes people don’t realize that along with pumping, there is all the washing and sanitizing bottles and pump parts. My day consists of feeding, pumping, cleaning, bagging milk, and repeat about 2-3 times a day. It’s all worth it though. Now, there is nothing wrong with riding a regular bicycle. I just don’t have the fitness level or mindset to conquer hills so soon after giving birth. It’s only been 2 months since the birth of my second child, so I’m not ready to sweat profusely just yet but I am ready to ride a bike. That’s why I choose an electric bike! 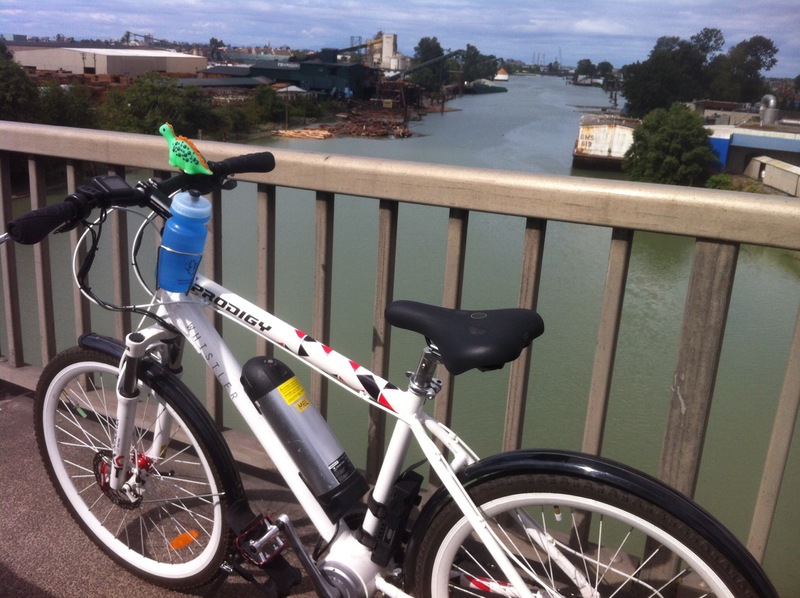 With an ebike, I can cycle with peace of mind that my body won’t hurt afterwards. I can still pedal and control the level of assist so I can ease myself back into shape. Riding an ebike is also the fasting commute option for me. I can get to work in about 20 minutes. It’s about the same amount of time by car in ideal traffic conditions, but without the added road rage. I have my own lane to cruise, and I bypass all the congestion. I take designated bike lane routes, so when I come to an intersection, I even get to control the traffic lights and vehicles have to stop for me. For a working mom, efficiency and comfort is so important. 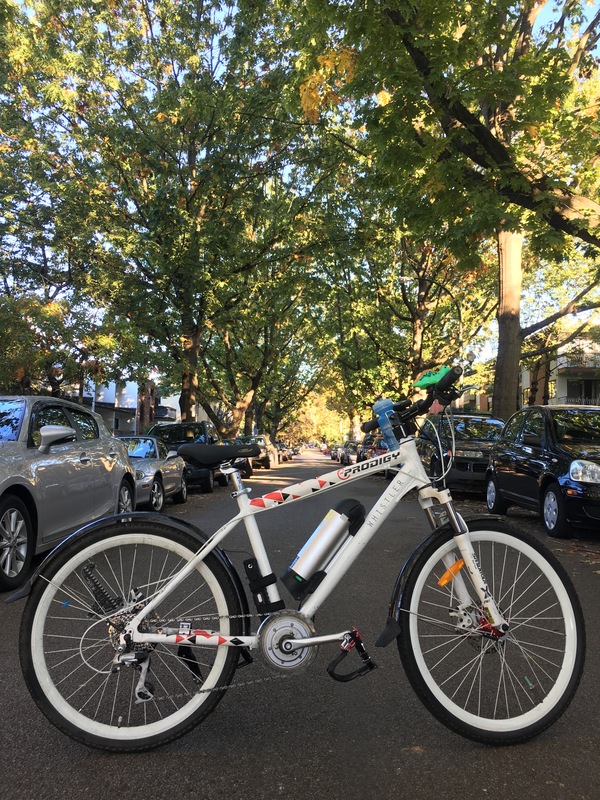 With my eProdigy ebike, I get to go home to my family faster than any other modes of transportation. I carry my milk in my backpack and I race home to kiss my babies. The road is open for me and all hills are welcomed. My First Commute in 2016. 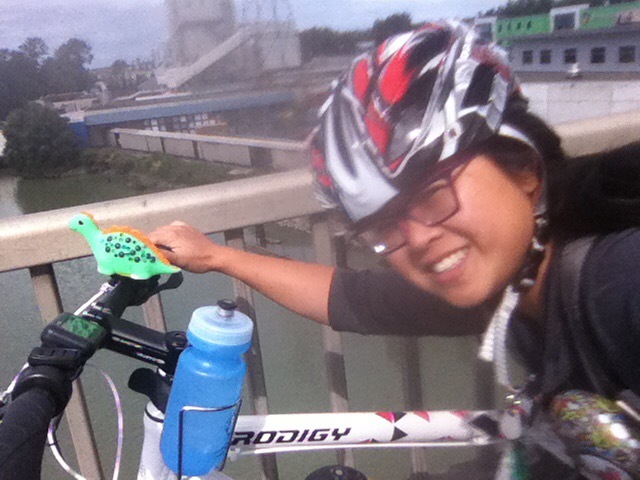 Today is an awesome day for biking. Spring has sprung with cherry blossoms lining the streets. Saturday farmer’s markets are open for business and the neighbours are filled with families playing outdoors. My commute to work this morning was incredibly enjoyable. I was bad and didn’t charge my battery for over 3 months so I was riding with a very low charge battery. I decided to ride with no power on flats or down hills and boost it to level 5 assist on an incline of any kind. The battery lasted me to work…whew! 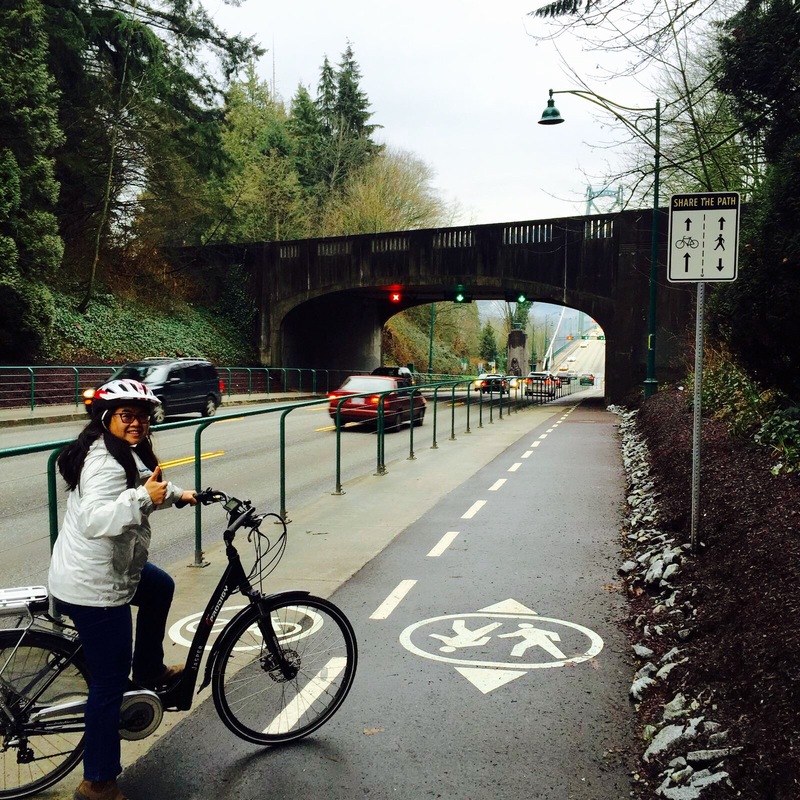 Today, my friend and I checked out a new improvement to the bike lanes leading up to the Lions Gate Bridge in Vancouver, Birtish Columbia. 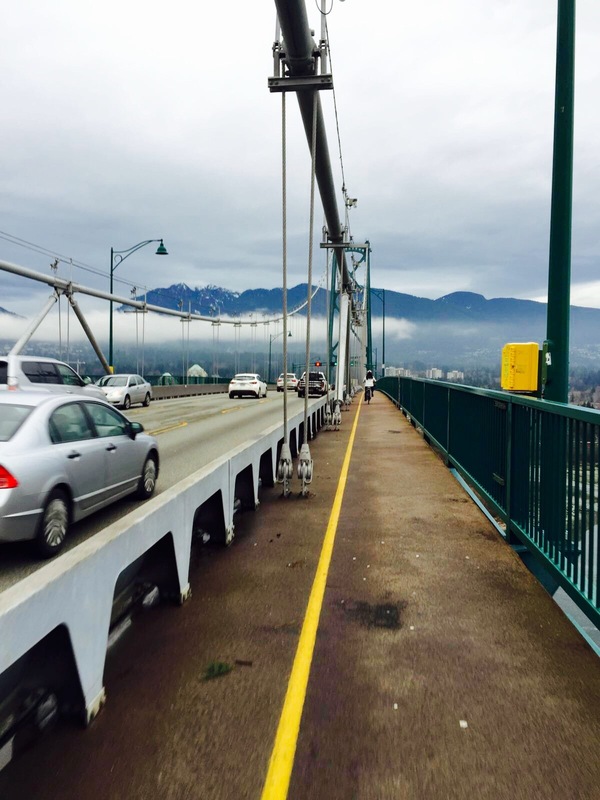 The city did a great job adding railings to allow safe and easy passage through Stanley Park. 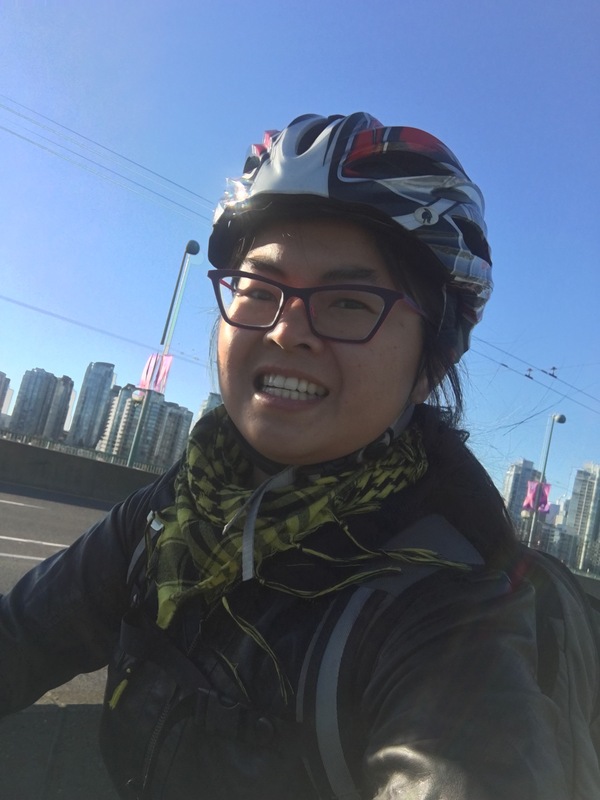 Knowing that biking is accessible really gives me the drive to commute by bike more. 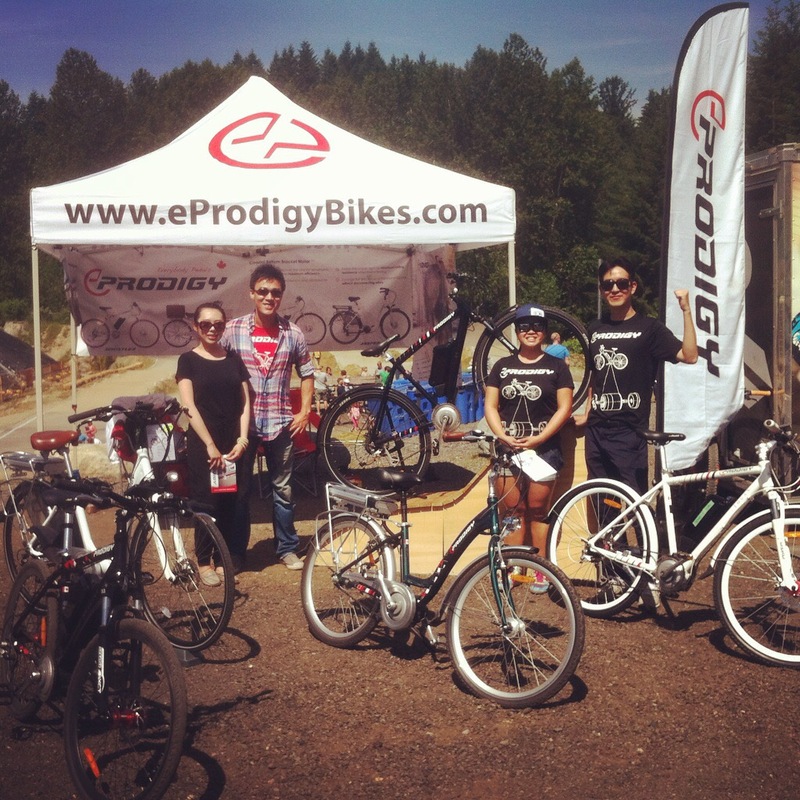 Especially with eProdigy Bikes, it’s basically a no brainer. Getting to and from the north shore has never been this simple. No more bridge traffic? Uh yes, please!! We never broke a sweat and kept at a comfortable pace. It was actually relaxing, even in at bit of rain. We’ll be back again often on this new and improved route. 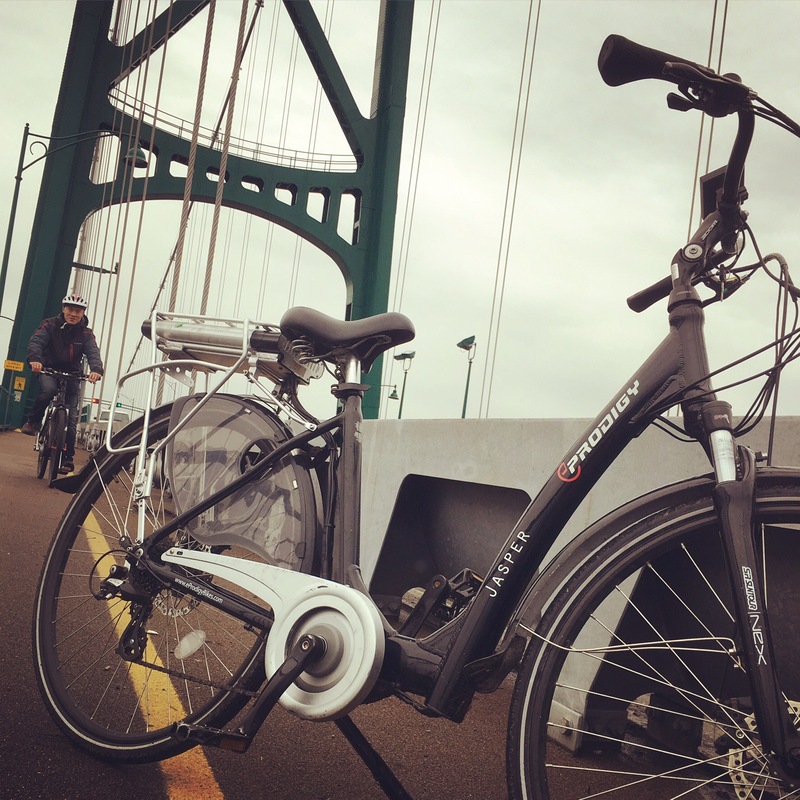 Hooray for bike lanes and ebikes!! I am a lucky girl this winter. 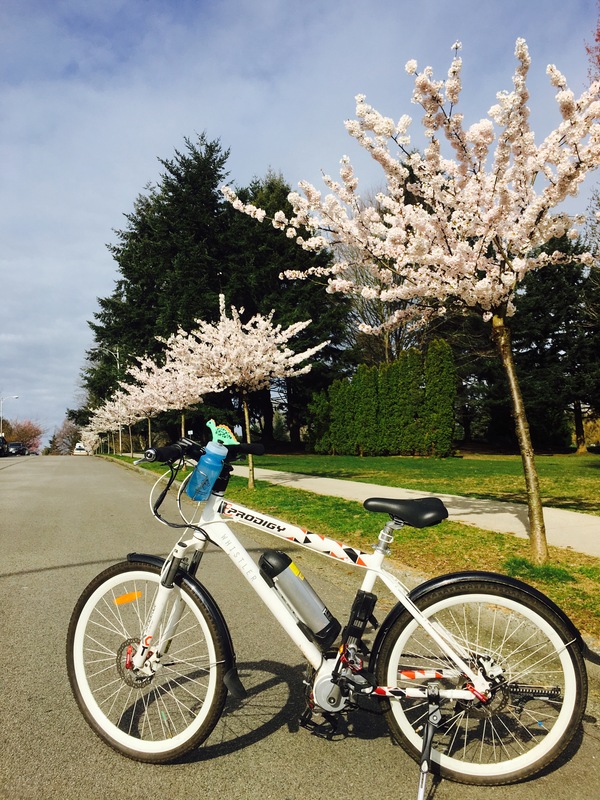 It’s still warm enough to ride a bike in Vancouver and I had a wonderful opportunity to test ride a 2016 eProdigy Whistler model with a much larger battery which offered a lot more noticeable power. I rode it to work last week and it was amazing. The bike had lots of upgraded components like better brakes, wider handlebars, and even more mechanical gears. I could go much further on a larger battery and reach my top speed a lot faster than using a 36V battery. The power from the bike is more instant and extra responsive. 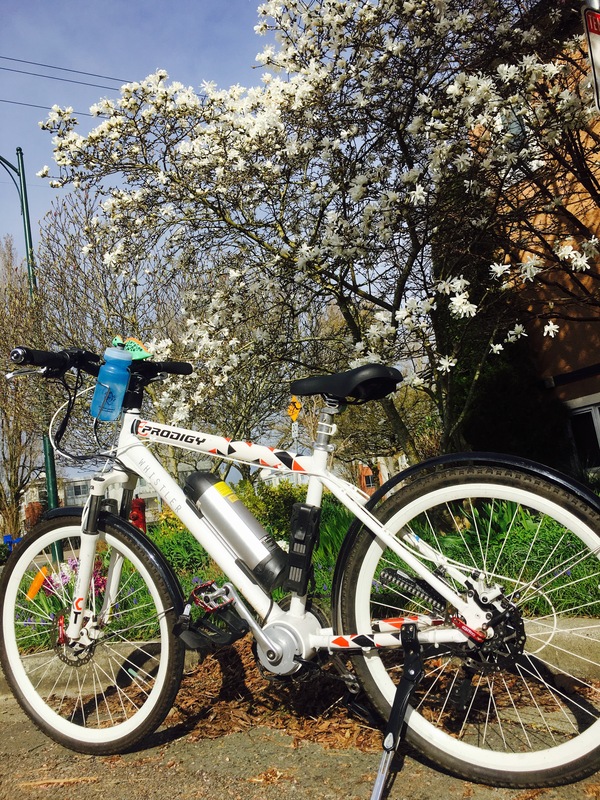 A larger capacity battery can surely enhance the ebike experience! When it’s dark at night, all I think about on my bike is to get home as quickly as possible. Night riding is a completely different ball game. You have to be extra alert and aware of all surroundings. Cars don’t see you even when you are lit up and cars drive particular faster at night for some reason. 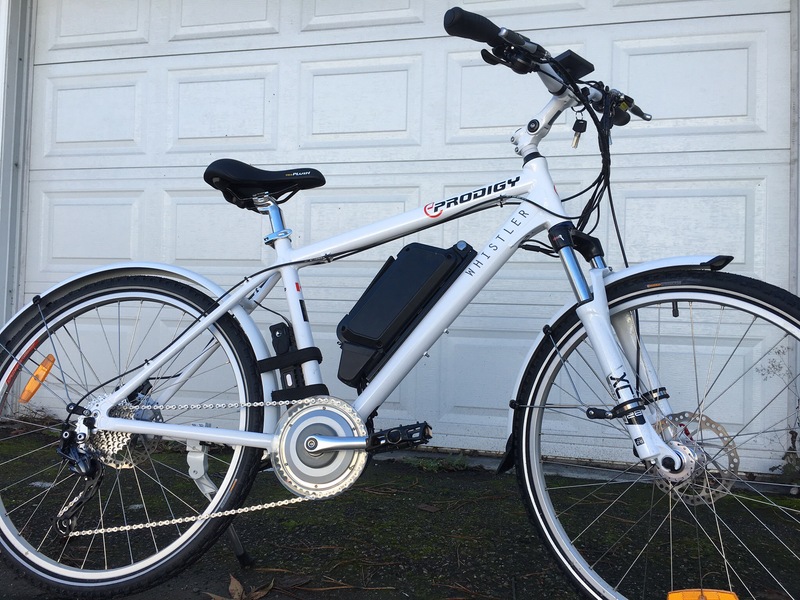 Thank goodness for my eProdigy electric bike because I cruise up hills like nobody’s business and I can get home a lot faster. 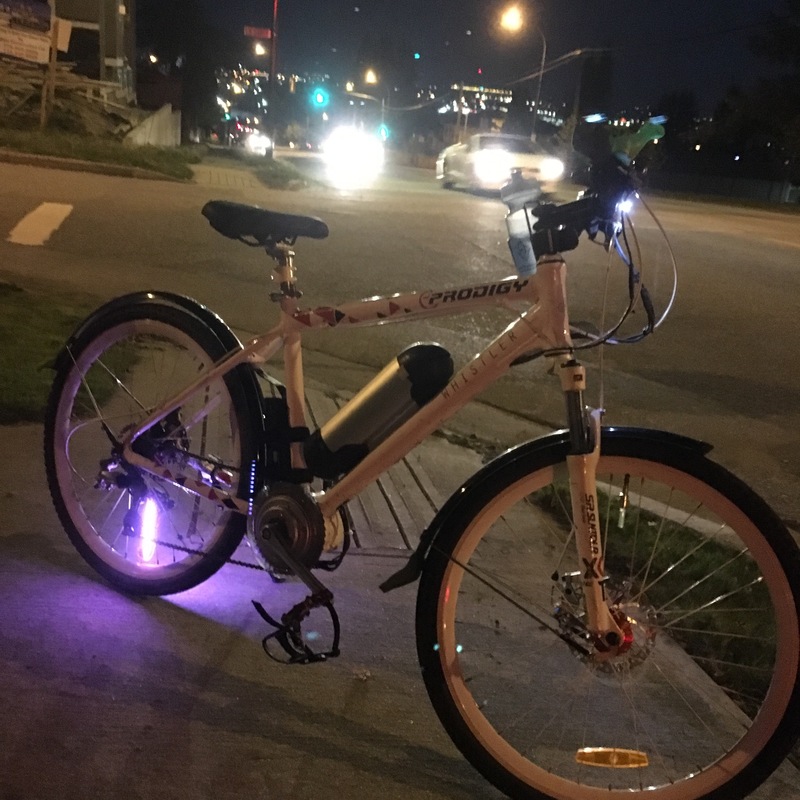 I feel much safer riding an ebike at night! I recently got a new iPhone and it’s awesome. It’s so fast and my camera is really good. I think I will definitely be blogging more. 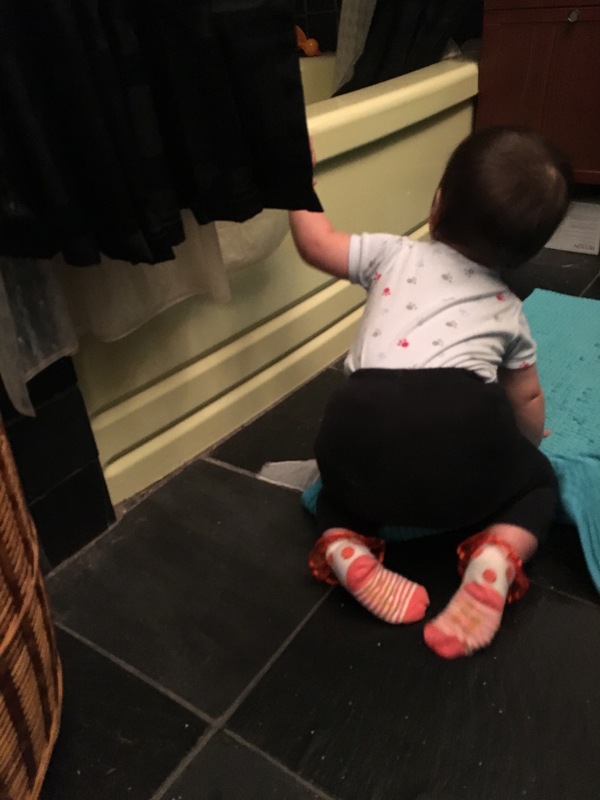 I can use my phone and following my baby around, that’s how efficient this phone is. My phone is as efficient as my electric bike! So efficient that I can stop to take a photo and not cause a traffic congestion. Quick and simple, no hassle. 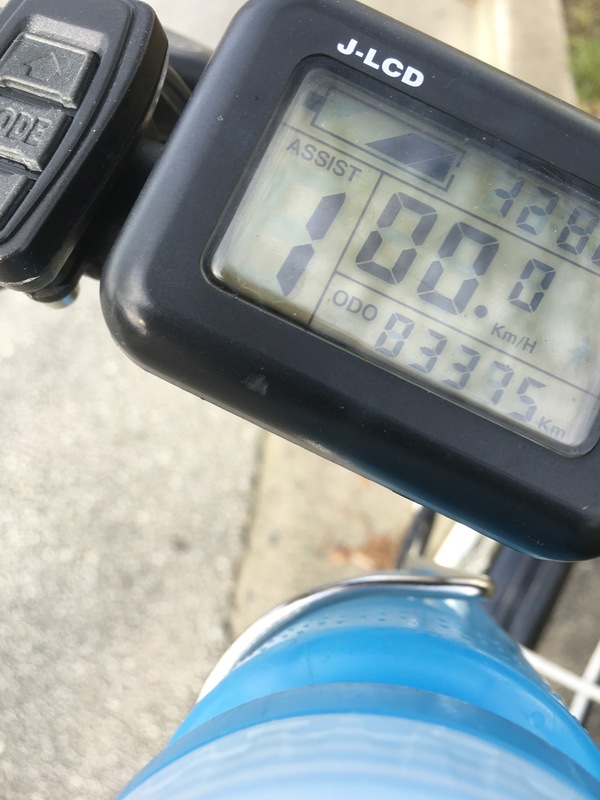 I love commuting on my eProdigy ebike. My commute is the best part of my day! I don’t think many people would say the same, but my commute is the best part of my day. I get to be free and go on roads that cars cannot travel on. At intersections, I control the crosswalk light and there is absolutely no traffic congestion to deal with. I listen to my favourite tunes on a mini speaker and I just get to enjoy my ride. I still obey the laws of the road and I’m extra conscious of traffic around me, but I don’t get the same kind of road rage that I would if I was to drive a vehicle. There is just something better about riding a bicycle. It must be the good blood flow that runs through you when you cycle. I love it! Can’t wait to ride to work again. It’s been a very busy summer for ebikes this year. 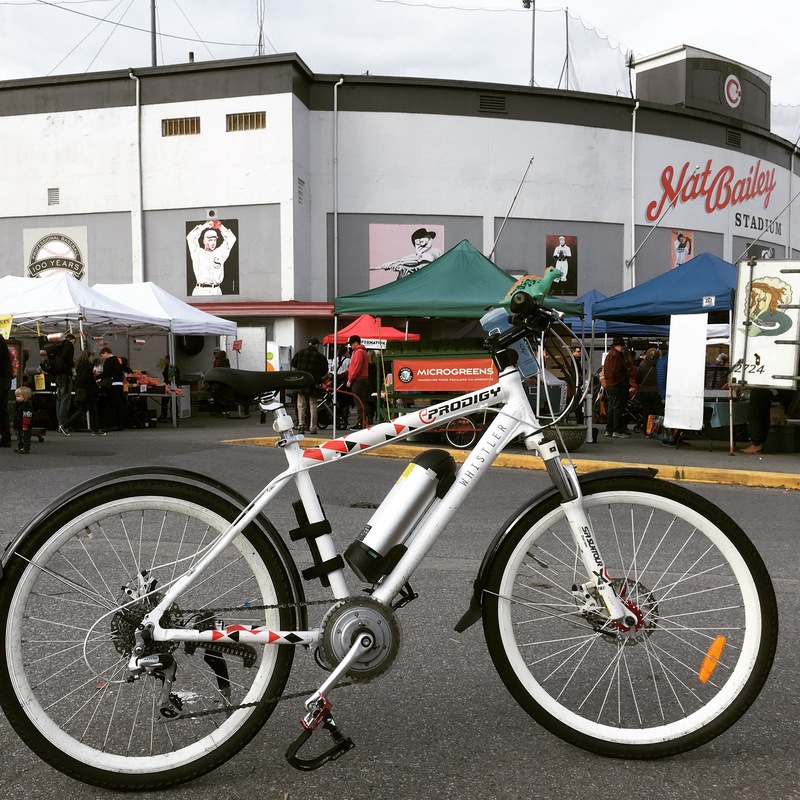 I’m happy to see so many people accepting and loving eBikes! 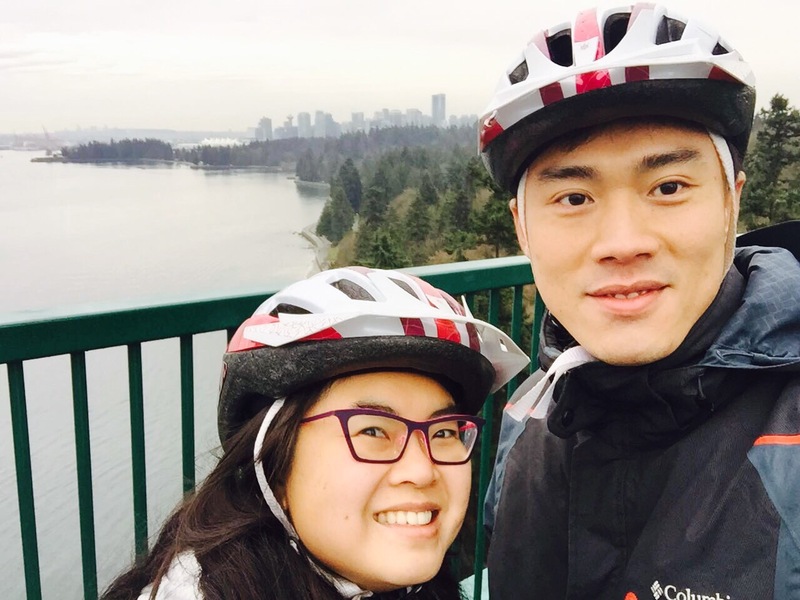 I love taking about them and sharing my ebike experiences. 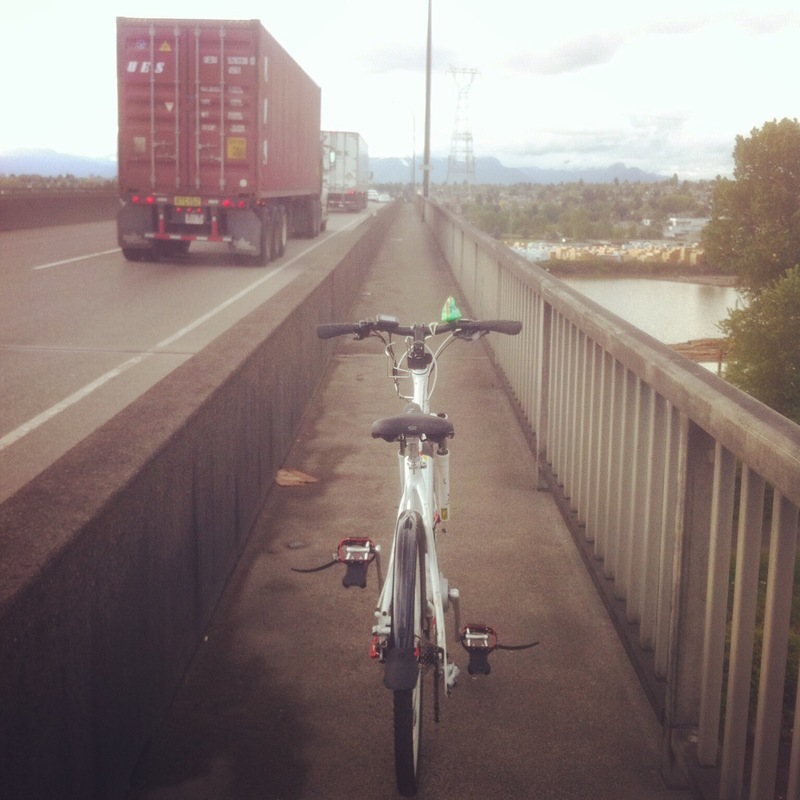 In late May, we participated in a Bike to Work Week Share the Road Challenge. 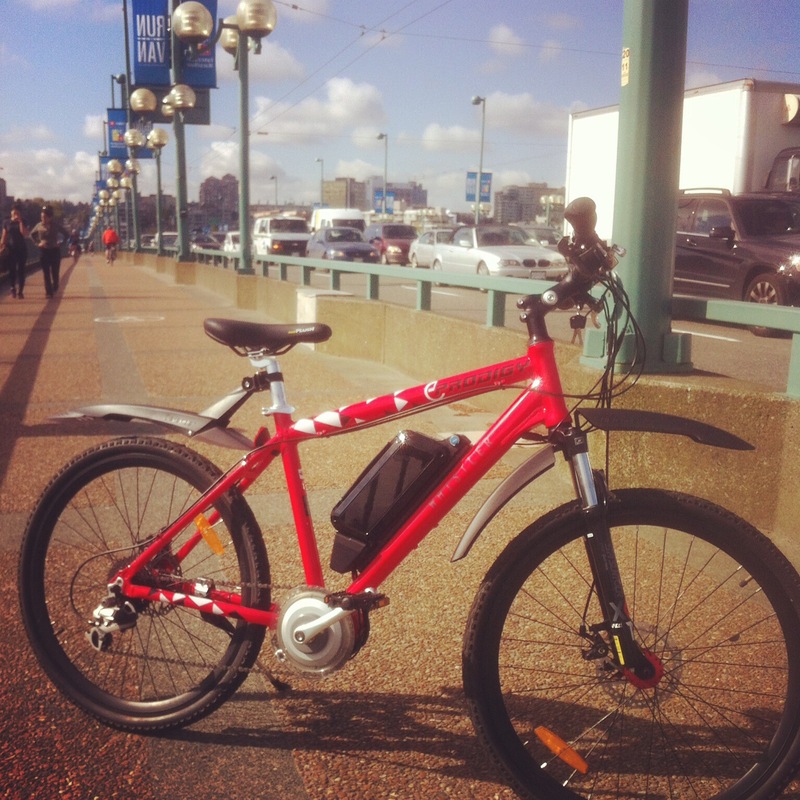 Our ebike commuter won with flying colours. 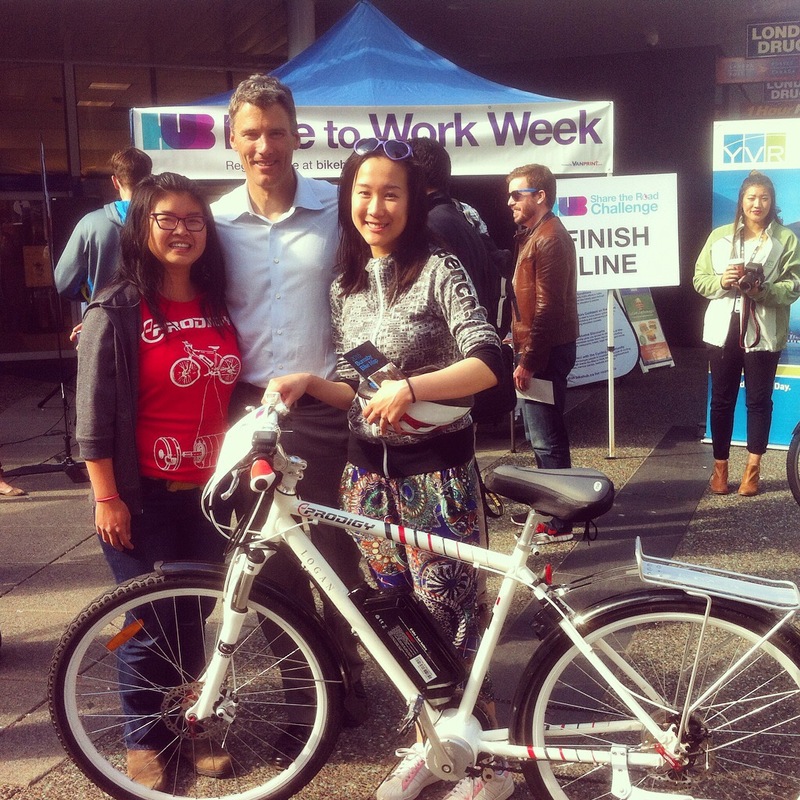 At the same event, we met Mayor Gregor Robertson who is an avid cyclist and he seems pretty impressed with ebikes these days. It’s definitely going to be the future. 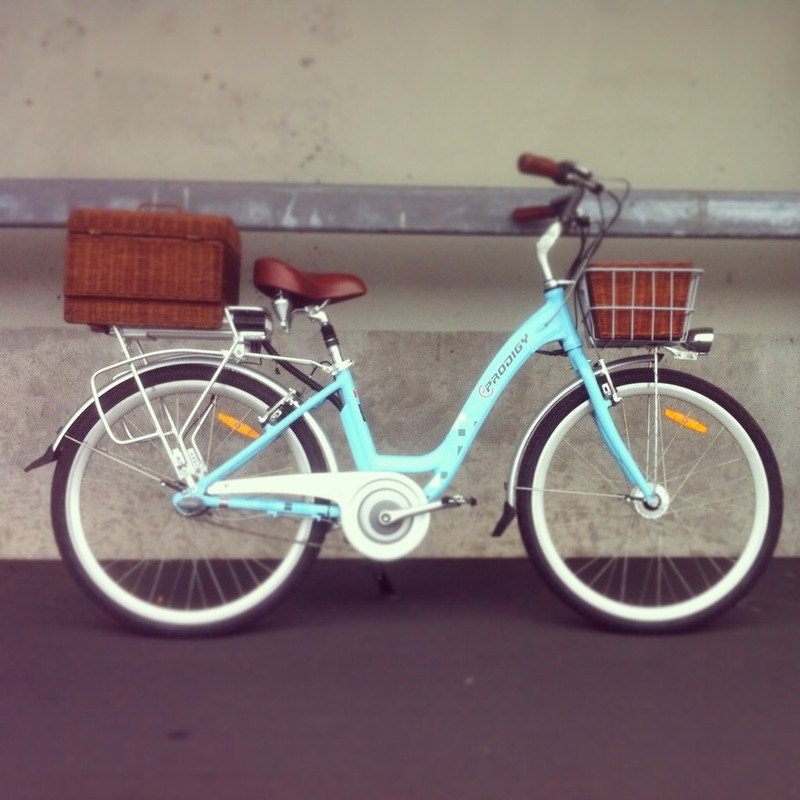 Have you tried an electric bicycle yet? You may just fall in love. 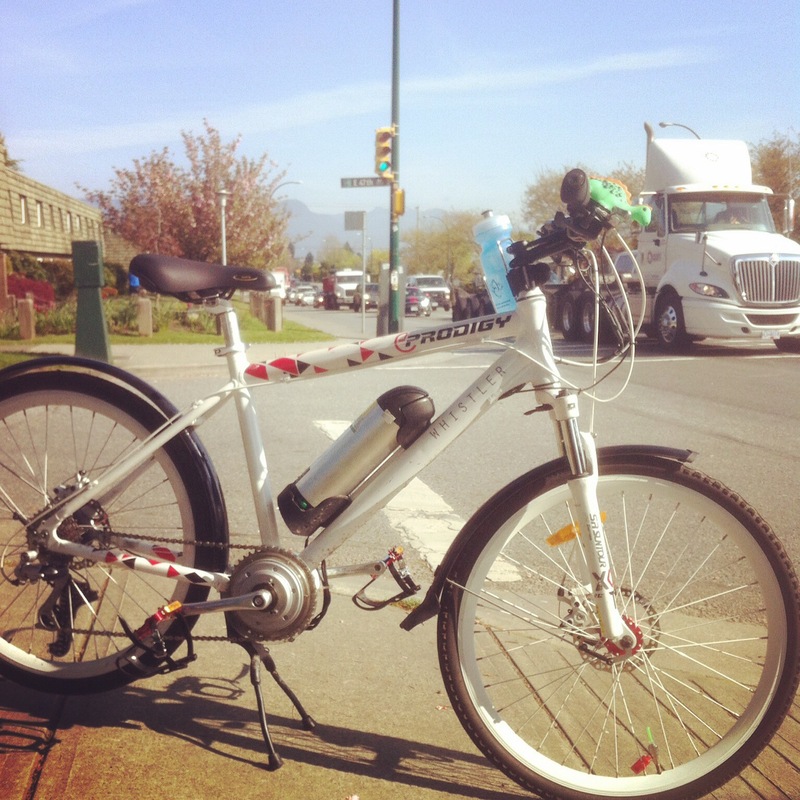 One of the reasons why I love riding my eProdigy electric bike is that I never have to wait in traffic. Getting to and from work is a lot less stressful. I can cruise by all kinds of gridlock traffic and it feels awesome! 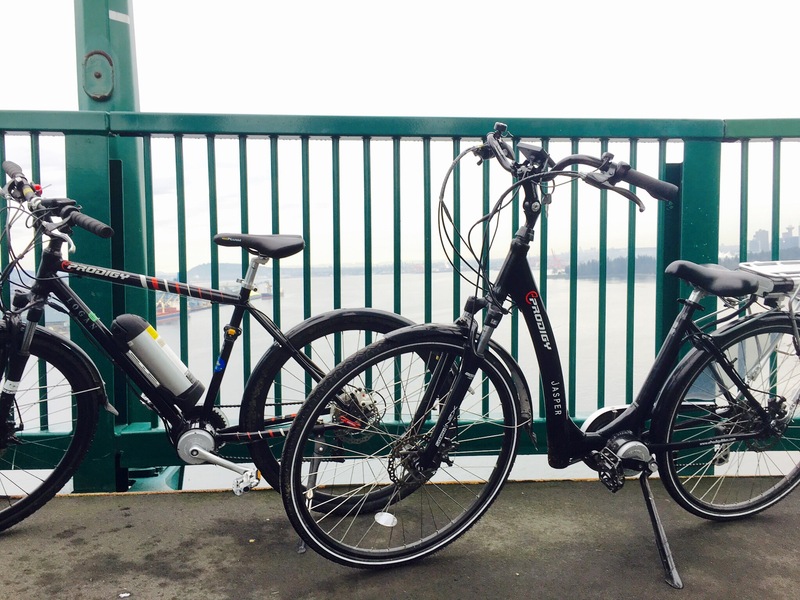 eProdigy Bikes on My First Commute in 2016. Sia on My First Commute in 2016.